The Surly Knard Adventure tire is an all-rounder designed for going fast over varied terrain, now in a super light 120 TPI casing. Its tread is made up of low, closely spaced knobs that dig into soil, rocks, and roots to find traction, wet or dry. With its increased width, the 41mm Knard more easily conforms to the ground surface and over any irregularities, providing a large contact patch to further improve grip. 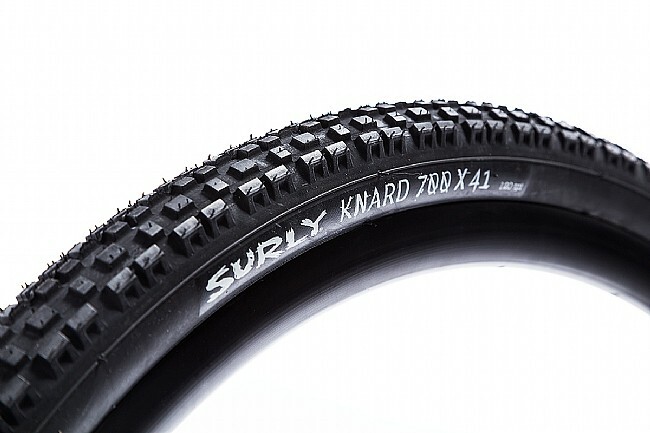 The Surly Knard 700c Adventure tire measures 41mm wide, with a bead seat diameter of 622mm. 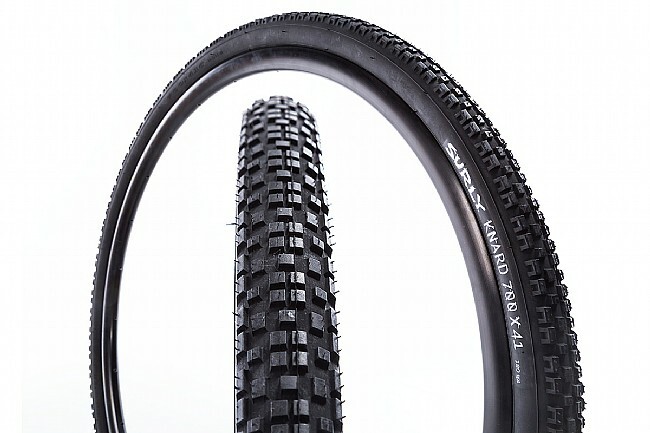 Surly recommends the Knard for use with 23-30mm rim widths. Also available in a 33 TPI version. Fit nice. Look good. Ride better. Put these on my gravel bike. Fit and look nice. Ride is great. Just went out in an inch or so of wet snow and did not have any problems with traction. Running 50 to 60 psi and still fairly quick and grab the road well. Will see about durability, less than 300 .iles so far. So far so real good.